The firm was set up by Martin Goetze and Dominic Gwynn in September 1980, to start with in a small workshop in Northampton, and since March 1985 in a purpose built workshop at Welbeck near Worksop in North Nottinghamshire, on the northern edge of Sherwood Forest. The aim is to work with a small team of committed organbuilders, flexible and with a complete range of skills, built around the permanent input of the skills and experience of the three directors. The workshop is part of a group of craft workshops at Welbeck, provided by the Harley Foundation http://www.harleygallery.co.uk/foundation/ a charitable trust set up by a legacy from the 7th Duke of Portland to promote the crafts. 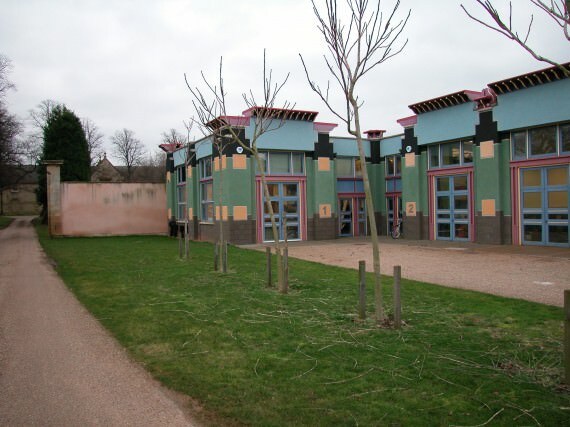 It was designed by John Outram http://www.johnoutram.com/welbeck.html . We are fortunate to be able to work in beautiful rural surroundings, in a modern purpose-built workshop, surrounded by some of the finest craftsmen and women in the country. Between 1985 and 2003 we benefitted particularly from the experience and advice of our neighbours, Derek Adlam, doyen of early keyboard instrument makers, and Bernd Fischer, one of the finest makers of early keyboard instruments in the world. We are committed to training the next generations of organbuilders. We have trained five English organbuilders, Stuart Dobbs, James Collier, James Mattheson, Joseph Marsden and Abigail Balfour, one Australian, Timothy McEwen, and provided further experience for eleven young German, Swiss, Latvian, French and Spanish organbuilders. Joseph Marsden is the son of Charles Marsden who has assisted us greatly over the years with his expertise and skill in colouring and finishing the casework of our organ projects, both new organs and historic restorations. Martin Goetze and Dominic Gwynn Ltd is a firm of six craftsmen dedicated to the production of pipe organs of high quality in classical styles. After the death of Martin in 2015 there are two directors, Dominic Gwynn and Edward Bennett, and usually three or four other craftsmen. The directors are full time organbuilders. They share responsibility for the design, supervision and finishing of each project, though the advantage of a small firm with a committed staff and experienced directors is that much of the responsibility is shared. Since January 2009 we have been assisted in the running of the business by Emma Hagen. Edward Bennett studied organ at the Guildhall School of Music in London, started organbuilding with Grant, Degens and Bradbeer in Northampton in 1971, and gained further experience with Hradetsky in Austria and at the Sydney Opera House in Australia, and with Peter Collins before joining the firm in 1985. He is now organist at St Anne’s Worksop. Dominic Gwynn studied Modern History at St John’s College, Oxford and started organbuilding with Hendrik ten Bruggencate in Northampton in 1976, before starting the firm in 1980. He is researching and writing a book on organbuilding in early modern English society and culture. Nicholas Hagen joined us in December 2008 after 18 years’ experience as a cabinet maker, antique restorer and polisher, latterly in church restoration and conservation. He has City and Guilds in the above disciplines. His wife Emma started work with us part-time in 2009 running our office and accounts. Joseph Marsden joined us from school in September 2009 after a few weeks’ work experience the previous year. Since then he has been trained in all the workshop disciplines of organ building. He has taken over the metal pipe making, both flue and reed pipes. Chris Davies joined us in January 2016 as an adult trainee. He is from Rossington, South Yorkshire, a friend of Joseph, who has trained him in all the different elements of organ building and restoration, through the whole workshop. Chris is also a tuba player with Armthorpe Elmfield Brass Band. Chris has worked as a car mechanic, specializing in classic cars. Abigail Balfour-Rowley left us in January 2018 to join her husband Rob. Abi joined us as a trainee organ builder in January 2013, after a degree in Psychology at Lancaster University, organ playing at Lancaster Priory and tuning with David Wells in Liverpool. She has worked in all parts of the workshop since then, and particularly voicing and tuning. She has voiced our reeds, with Martin in the last years of his life and on her own in the last two years. Abi and Rob provide all organ building services, including work on pneumatic and electric actions. They will continue to have a close relationship with this workshop, using our skills and facilities when they require, as we will use their expertise when we require. Follow their activities on https://www.facebook.com/balfourrowley/ and see their website http://balfour-rowley.co.uk/ as their portfolio of work increases. New organs: we make all the parts of the organ in our own workshop, apart from the blower. 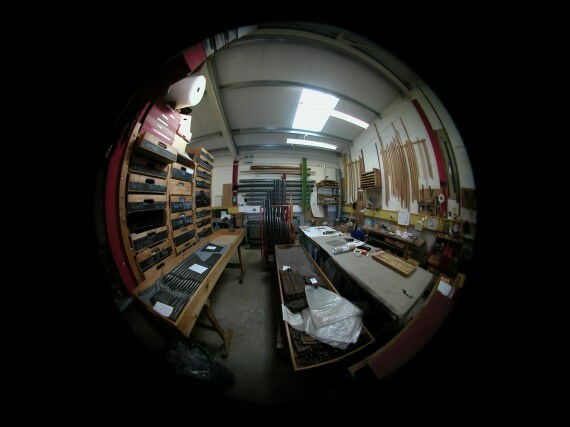 We use English oak and Scots pine, and cow-bone and ebony for the keys. The metal is usually 17 to 30% tin, according to the information from the pipes we are following as a model. The workshop environment is controlled for temperature and humidity, so that the organ can be made at the average temperature of its new home. The wood is air-dried, firstly outside for one to two years, and then in the workshop to the level of the building where the organ will eventually live. Restoration: we aim to follow museum standards of restoration. We are Business Members of the Institute of British Organbuilding, and are members of the United Kingdom Institute of Conservation. In 1999 we were shortlisted for the Jerwood Conservation Award for our work on the 1826 Elliot organ at Belton Hall and in 2004 we were runners-up for our work on the 1829 Bishop organ at St James Bermondsey. We have worked for the National Trust, the Royal Collection and for a number of other collections and museums. We look to the best continental practice as a benchmark against which to set our own standards of craftsmanship. The three partners became interested in the organ in the late 1960s, and were among those who looked to Holland, Germany and Scandinavia for inspiration. The connection was made easier thanks to family connections in Holland and Germany. The development of our organbuilding has been influenced throughout by visits to Holland and discussions with Dutch friends, later extended to Germany, Spain and Italy. Many of our organs have been made for use by professional musicians in the field of Early Music. We look to instrument makers of the Early Music world for inspiration, advice and encouragement. The constructive support of musicians in the Early Music world has been a vital influence on our attitude to our work. We conduct research into old organs and make it available in photocopied reports. The Harley Monographs are technical reports on organs restored or researched by ourselves. They are available for free on this website, https://www.goetzegwynn.co.uk/reports/ . We were inspired by the British Institute of Organ Studies and have contributed to its Journal, committees and meetings. We have played a full part in our professional association, the Institute of British Organbuilding, serving on its board (Martin as President 2009-13), contributing to its Journal, organizing training days, writing articles and giving talks of various kinds.